Fast Haul provides yard clean up and landscaping services for residential and commercialcustomers throughout the entire San Francisco Bay Area. Our yard clean up services includes all the loading, cleanup, pickup and dumping of your unwanted lawn and backyard waste. With your guidance, our yard waste hauling experts will separate out the yard waste and haul it away as part of our all-inclusive yard clean up services. Our full time landscaping experts and gardeners provide professional backyard work services including ivy cleanup, weeds cleanup, and any other lawn work needs your garden might require. Fast Haul regularly provides lawn clean up, yard work and landscaping services to local real estate companies, schools, property management companies, and government agencies, as well as non-profit organizations in all their yard waste removal and hauling needs. All the paper, metal and recyclable items go to the recycle/reuse centers and all the yard waste goes to an approved transfer station for sorting and recycling. 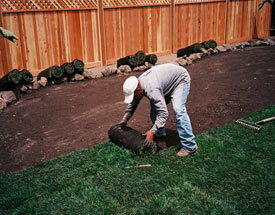 We can provide free estimates on all yard work jobs. Looking for the right junk removal recycling company to take care of that big hauling project? 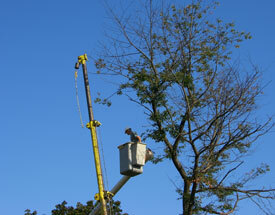 Look no further, Fast Haul is the Bay Area’s #1 company to call for that large debris hauling job. It’s important that your unwanted furniture, and usable items find the right home and that the all the junk and trash are disposed of properly. Fast Haul is proud to recycle and reuse over 50% of all material hauled away. We’ve got the trucks, manpower and experience to get your large hauling project done fast and efficiently. Call us anytime for a free estimate on any warehouse, estate or office cleanout. Fast Haul has 2 workers and a modern 14ft truck that are available for small apartment movers, Craigslist and Ikea deliveries, etc. Our rates are the lowest in the San Francisco Bay Area. Call us for a yard clean-up free estimate at 1-800-919-HAUL. Our moving and delivery rates start at $90 per hour for 2 men and truck. 1-2 hour minimum required for most jobs depending on the size of the job. Note: Fast Haul is not a licensed moving company. Got a garage or yard basement full of stuff you haven’t seen in years? 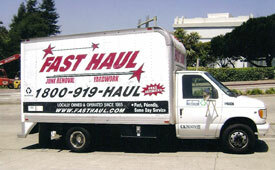 Fast Haul is the #1 company to call for garage cleanouts & yard cleanup, basement hauling. When you call us for a free estimate, an experienced driver will come to your home or business and provide you with an up-front price to do the work. Most of our jobs have NO added labor or weight charges!